Fuel Express is not affiliated with, nor offers sales or customer service for Express Shop fuel credit cards. 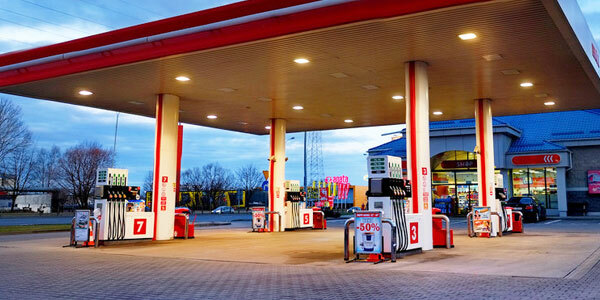 We are a fleet fuel card provider that is accepted at virtually every gas station in the U.S. including every Express Shop gas station location. This page is intended for current or prospective Fuel Express customers to review all of our fleet fuel and gas card acceptance locations. To learn more about our fleet fueling services, please contact us or apply for a fuel card from Fuel Express today. Our fleet gas card can be used at any Express Shop plus 230,000 other locations around the country. This gives your drivers the freedom to choose where they want to go and pay for their gas or maintenance quickly. At Fuel Express, we know that budgeting is an important part of any business (no matter what industry you’re in). When fuel is one of your major expenses, you need a way to keep track of exactly how much your drivers spend. With our fleet gas card, we offer tools like monthly spending limits and purchase restrictions so that you can take control of your money. Our monthly spending limits let you choose a spending maximum for each gas card. Once your drivers hit that maximum, they won’t be able to purchase anything else. With our purchase restrictions, you can determine what is acceptable for your drivers to buy; if they try to buy something not approved, they won’t be able to. Both of these tools can help you create a better spending system and give you peace of mind, knowing that your drivers will stay within your budget. Our fleet gas card is fast and easy to use at every Express Shop and more. Your drivers have a choice of where to go for gas, so they won’t waste time looking for an acceptable location. Instead, they can easily choose a station, fill up, and get back on the road fast. This saves them time and lets them complete their deliveries or orders more quickly. In turn, your business will become more efficient. You’ll be able to satisfy more customers in a shorter amount of time. Discover the benefits of a fleet gas card as well as other fleet tools like our GPS tracking solutions. Contact us today for more information.